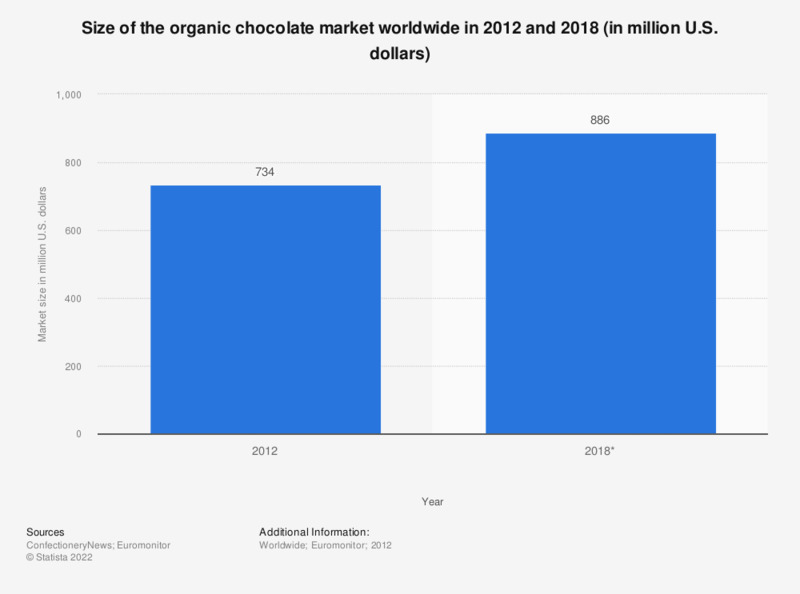 This timeline depicts the size of the organic chocolate market worldwide in 2012 and 2018. In 2012, the size of the global organic chocolate market was valued at 734 million U.S. dollars. Euromonitor forecasts that the market will grow between 2 to 3 percent each year until 2018. Euromonitor forecasts that the market will grow between 2 to 3 percent each year until 2018.